Well, what'll I care-- I'll have moved on, and what a happy way to have done so! I love the last photo. Perfect. I have always loved the green hills of the Emerald Isle. I am especially fond of Celtic Crosses, the Claddagh and the Trinity Knot. Thanks for allowing me to take a small tour of my ancestral home land with you. May visualization make it so. 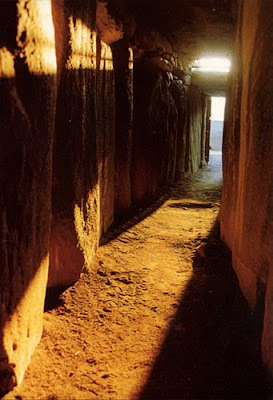 The Newgrange was a good shot-- the sun was even shining! We share a love-- of the Ancestral homeland, of the Celt knotwork..
"We share a love-- of the Ancestral homeland, of the Celt knotwork..No doubt there are other things as well..."
It is especially nice to know we share a love--of the Ancestral homeland and the Celt knot work, and Cygnus, Like you, I have no doubt there are other things as well. If I get my boat in the next five years, will you be my First Mate?!? Had a good Irish Cofee this ante-meridian, Brother... Naught like it! Ha!! !